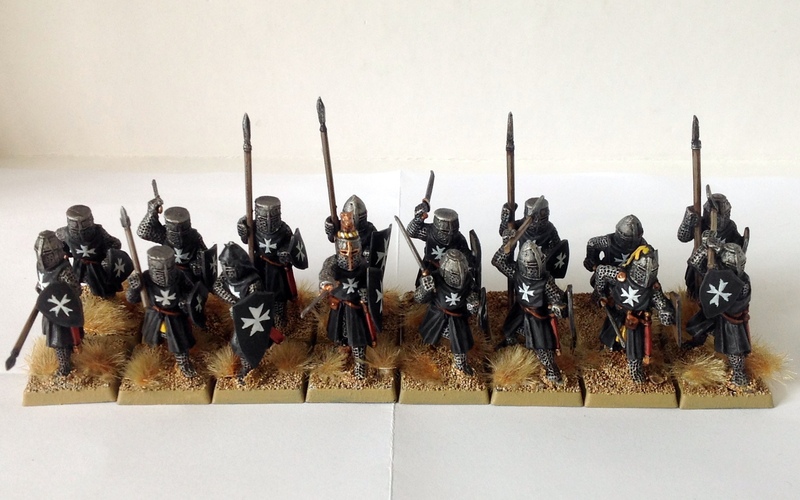 Confession: I have been meaning to start up a Knights Hospitaller army for almost two eyes. I actually started collecting them with a box of Fireforge Games templar knights I brought home from Crisis ’12. I painted up half the box then went on an adventure with my Vikings, so I didn’t really give the project much thought. Things have changed, however, with a generous donation of models by my friend Eddie. Mostly cowboys, but also some dismounted knights. And, well, things started itching again, and here we are today with the first painted chaps. In total I received 32 models, which I split into two batches, one with and one without any skin to be painted. I did this to speed things up a bit for the first batch and get a quick result. 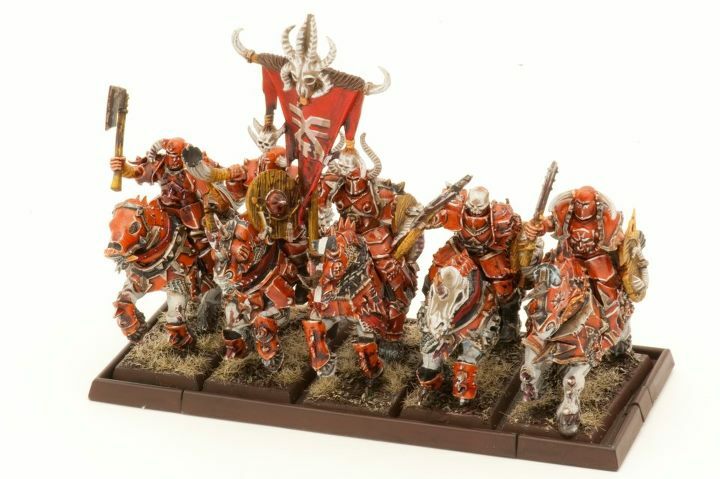 These are some lovely models, with just the right amount of detail. They received a black undercoat over which I drybrushed necron compound. I then blocked in all cloth areas and the shields with a fresh coat of black, highlighted them with adeptus battlegrey and washed everything with nuln oil. So easy! 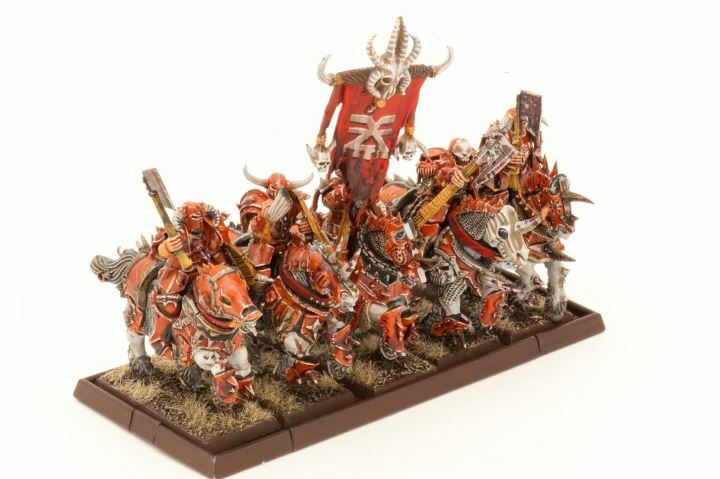 A close-up of some of the more interesting models. Apart from that, everything was painted as per usual, apart from the absence of any skin tones to be painted. I added some small detailing in yellow to be able to tie them in with my other crusaders if needed, although these are certainly a bit later in the period equipment-wise. I also used gold on every model’s sword hilts, buckles and the like, seeing as how they’re the elite of the army even when fighting on foot. 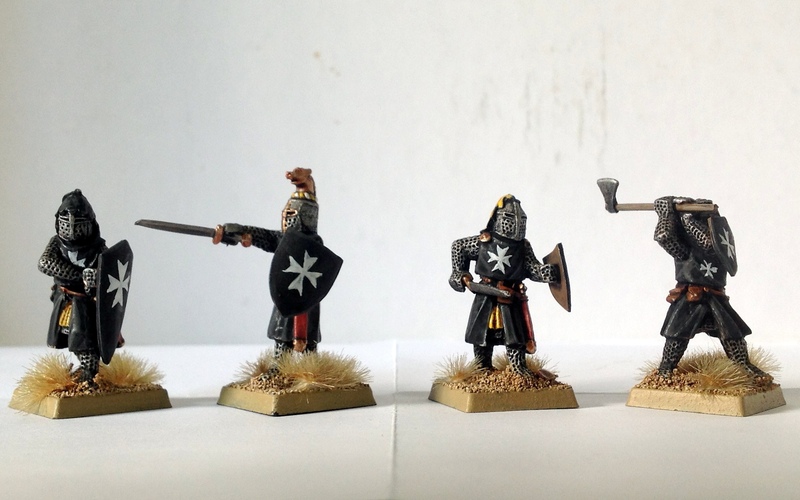 Of course, the Maltese crosses were the fiddliest part of the painting process. They were done in ceramite white with some minor touching up – where needed – with black. I guess I ought to be using decals, but I’m reasonably happy with how these ended up looking; and practice makes perfect. That’s it for this week! I still have more crusaders in the pipeline, as well as a couple of other commissions, so check back soon!